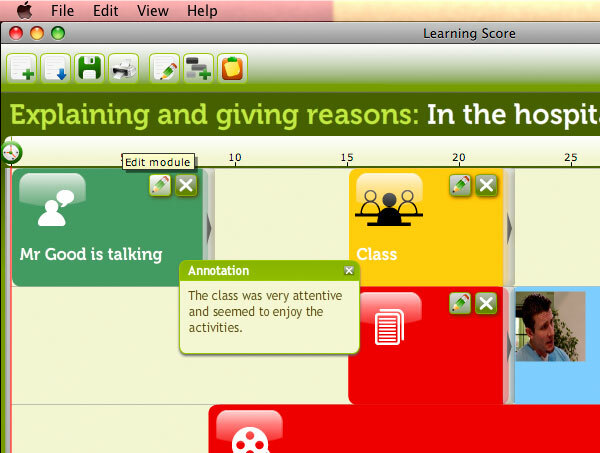 An innovative teachers’ support tool – orchestrating lessons rather than just planning them! 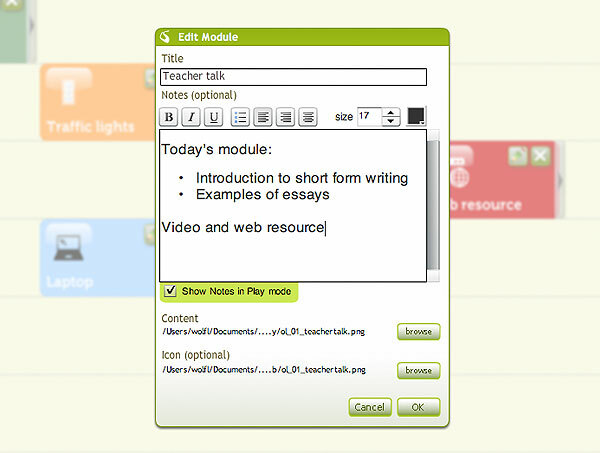 As well as using a track-based interface to schedule lessons or courses, users can also attach media files, pictures, documents and web links, which will be displayed inside the Learning Score. 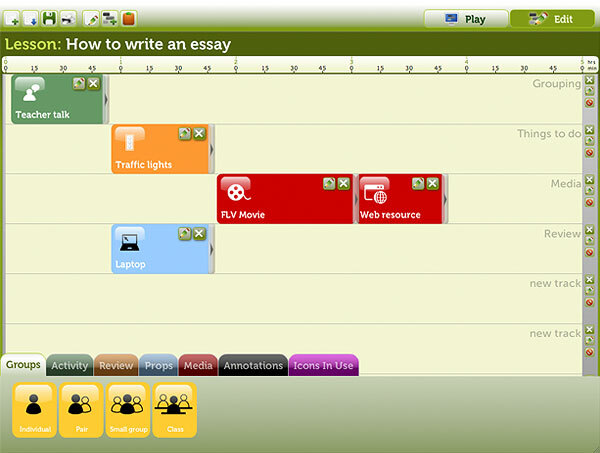 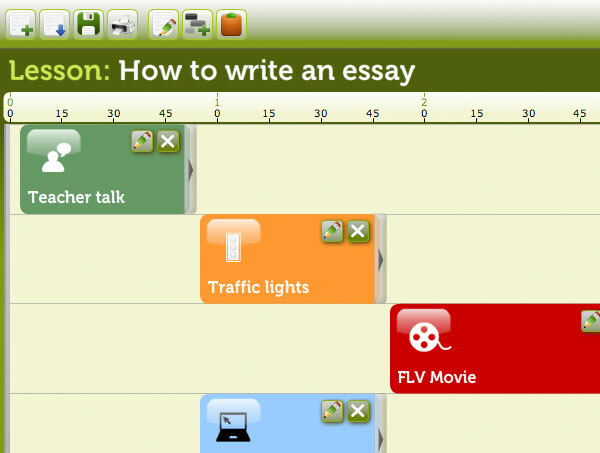 This makes the tool into a media player as well as an organisational planner. 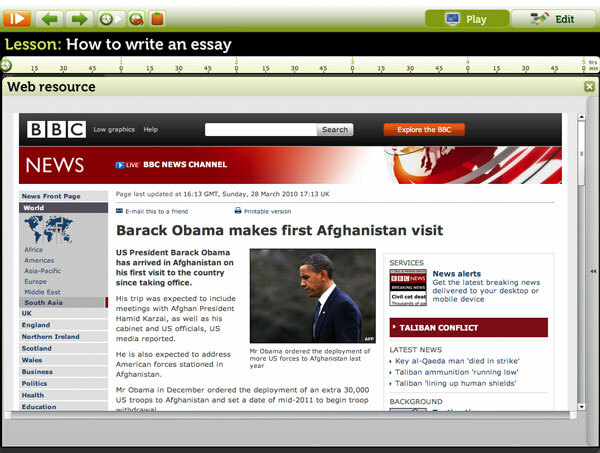 Developed in AIR to harness the powers of a desktop-installed application, but with plenty of sharing features and even SCORM-compliant output.